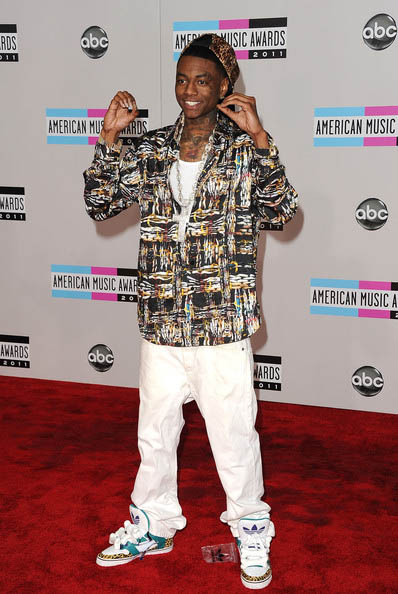 Soulja Boy hit the red carpet wearing a pair of Jeremy Scott-designed sneakers. 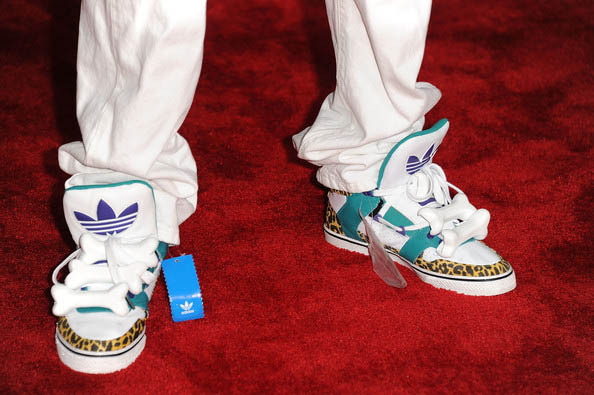 Prior to last night's 2011 American Music Awards in Los Angeles, California, recording artist Soulja Boy hit the red carpet wearing a pair of Jeremy Scott's adidas JS Bones. 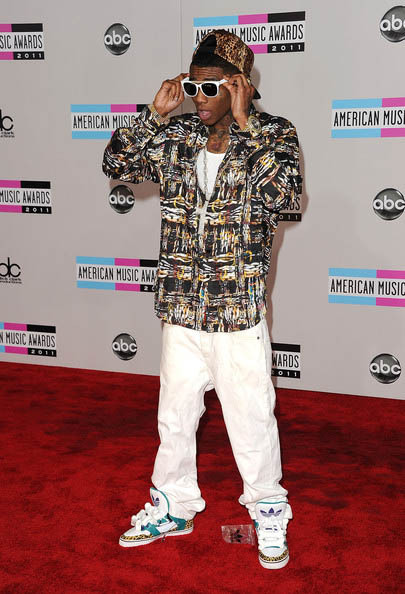 If you remember, it was Lil' Wayne that debuted the Bones at the 2011 BET Awards back in June. 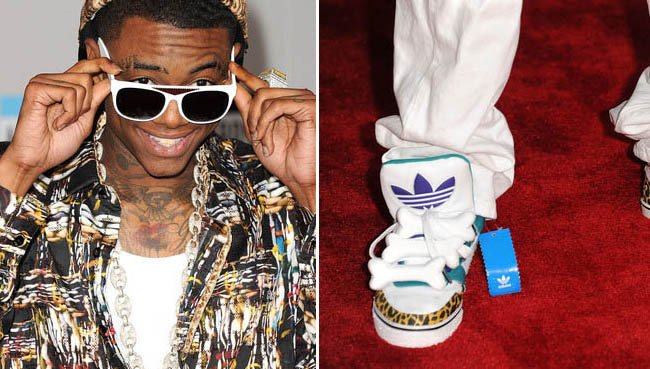 However, what Wayne didn't do is leave the adidas Originals tag and spare lace plastic baggie hanging from his kicks while he rocked him, once again proving that Soulja Boy is ahead of his time and a true visionary for all things music and fashion. A little Wite-Out on those shades and I would have lost my mind. Let us know what you think about Soulja's fit in the comment section.